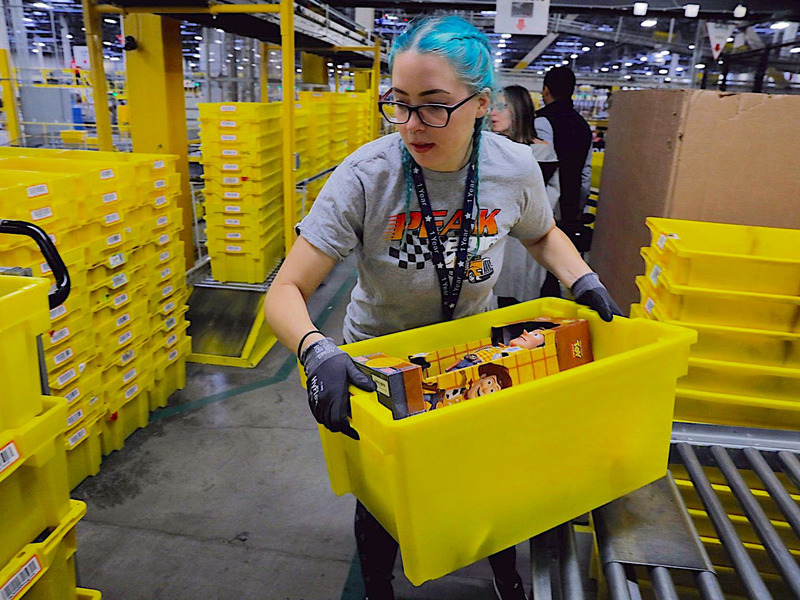 In raising its standard wage to $15 an hour, Amazon has turned an enemy – Sen. Bernie Sanders – into a friend and gained what could be a powerful new weapon. Amazon’s statements about the raises indicate that it wants to position the move as a moral one. The new wage standard will be effective November 1. At the same time, Amazon is trying to force other retailers to follow by directing the company’s lobbying team to start advocating for a federal increase in the minimum wage to the same $15 an hour it will now pay workers. Amazon is also positioning this lobbying effort as moral, but that may not be the only reason the e-commerce giant would be incentivized to do it. A nationwide minimum wage of $15 an hour would require all of the company’s retail competitors to pay their store workers at least that amount. In that way, Amazon could be “weaponizing” policy, according to economist Michael Farren of the right-leaning think tank The Mercatus Center, which is generally against government regulation. “When Amazon tries to force others through lobbying efforts to compete in the way that they have a competitive advantage, that’s the point where you have taken … a policy or a regulation that is theoretically in the public interest and you’ve weaponized it to turn it into a private interest,” Farren said to Business Insider. Workers in stores already tend to make less than workers in distribution warehouses on average. It was theoretically a smaller cost for Amazon to bump its workers up to $15 than it would be for Walmart to bump all of its store employees up to $15. Plus, a new federal minimum wage would force Walmart to direct resources away from developing new innovations to compete against Amazon, Farren argued. In addition, Amazon’s technological forays into automation are further along than competitors, he said. A higher minimum wage might not even affect Amazon that much in the long run.